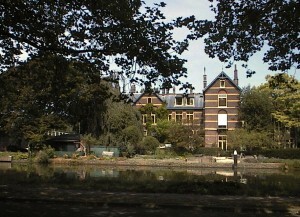 Delft University’s Biological Labs 1: The “Palace of Light” on the Nieuwelaan. 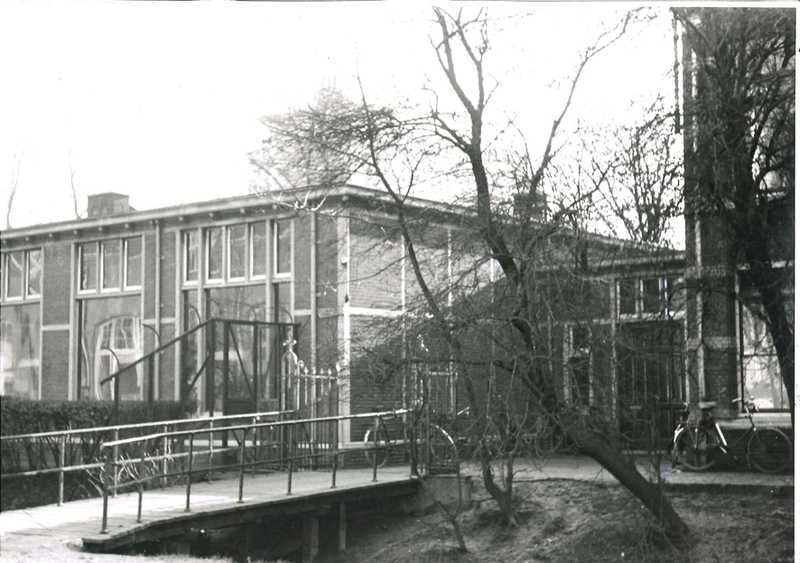 At the beginning of 2016, the Laboratory for Microbiology, together with the rest of the Department of Biotechnology, will move out of its current building, destination the new Faulty building on the outskirts of Delft. 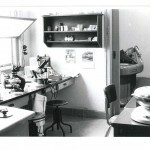 This seems like a good moment to take a look at the previous lab where so many breakthroughs were made. 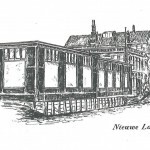 It was known as the “Palace of Light” because people worked late into the night. 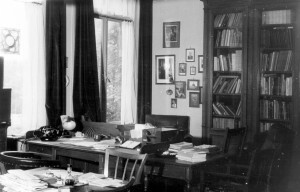 We are fortunate that, thanks to a commemorative book published when Beijerinck was a fairly new Professor and photographs taken just before the department moved out, we know what it looked like. 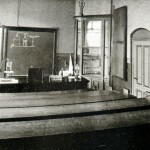 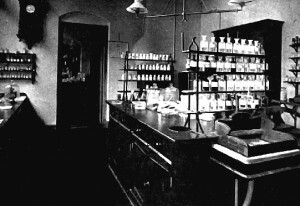 At the time it was built, it was the most expensive laboratory in the University. 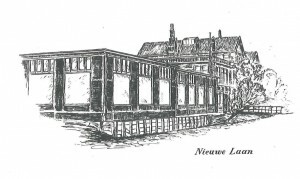 An extension was added in 1911. 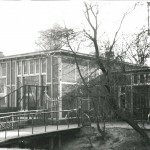 Part of the building, on the left of the top photo, was the Professor’s house. 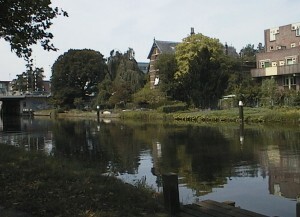 The garden sloped gently down to a large canal (the canal’s edge can be seen as a white line across the bottom of the picture). 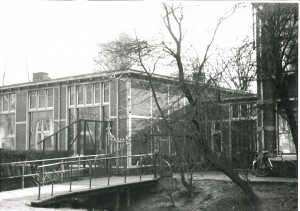 It was in the greenhouse in this garden that the tobacco plants were grown for Beijerinck’s work on the Tobacco Mosaic Virus, and many famous microbial species were isolated from the soil and mud of the garden and canal. 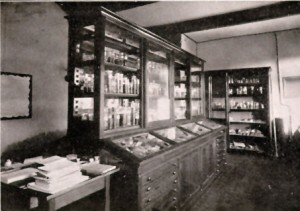 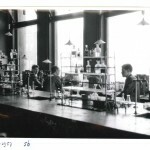 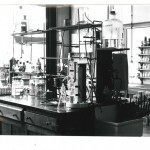 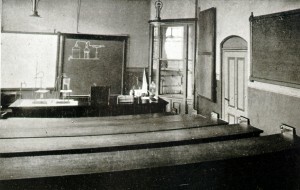 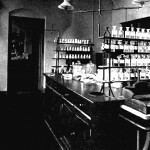 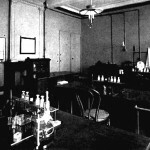 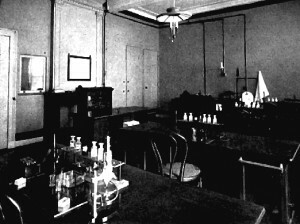 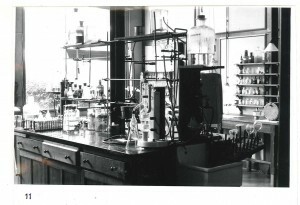 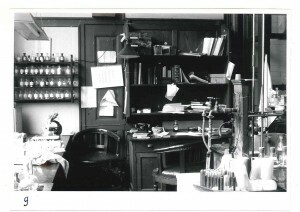 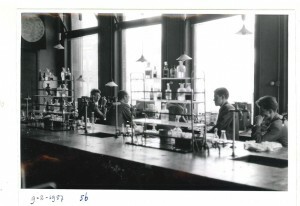 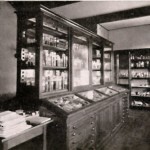 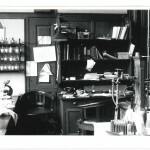 We have a few pictures of the inside of the lab in Beijerinck’s time. 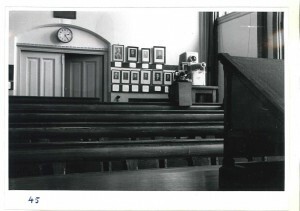 After Kluyver’s death and before everybody moved to the new (and current) building, everything was photographed. 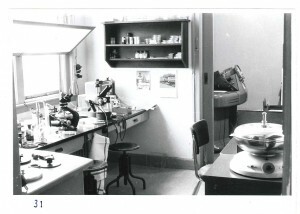 The photos are all numbered with corresponding floor plans so that we know not only which room is shown, but where the photographer was standing to take the picture. 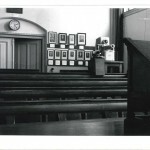 This is just a small sample. 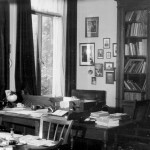 Kluyver's office as he left it. 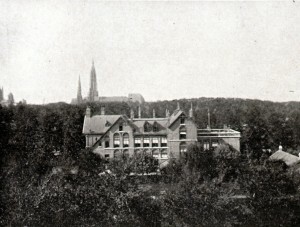 The building (without the extension) is still there. 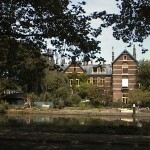 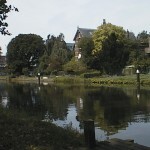 After a number of trials and tribulations including the building of a major bridge close to the front door of Beijerinck and Kluyver’s house, it is now apartments. 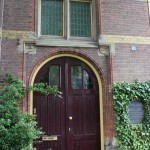 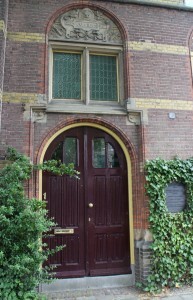 To mark the 100th anniversary of Beijerinck’s appointment, a plaque was unveiled next to the original laboratory door.